I watched someone on YouTube the other day talk about the MUFE lash fiber so I decided to give it a go. I am a sucker for big and dramatic lashes so wasting no time I grabbed from Paris Gallery and I believe it costs DHS130 if I remember but I'm not sure because I bought it with other bunch of stuff. Anyhow so consider it tested and I would say that I like it but I don't love it. I had high expectations from this product but I would say that brought me to disappointment. Maybe because I used it with my personal mascara and not from MUFE or maybe that it does not work with my type of lashes. I don't know what exactly but there was not much of a difference. 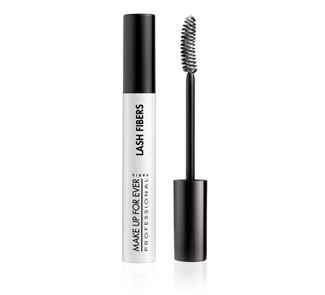 I realized that after applying my mascara on top it tends to remove the fibers and I can barely see them on my lashes. I don't think this product is good for me what do you guys think of it?